Here are several pictures of two tools I use for coiling wire into springs. This is the tool I made that is described in the page on winding that is linked below. The first picture is the tool and madrel, the other was taken while making a coil. 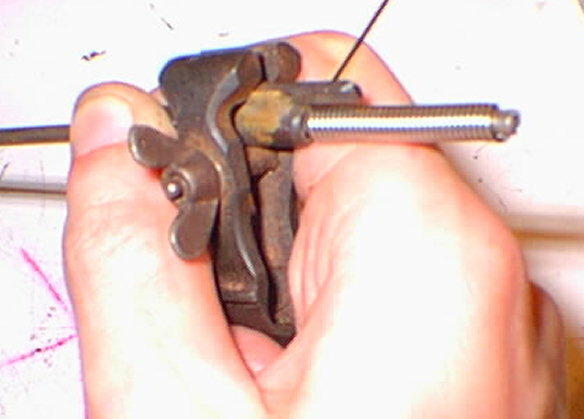 The mandrel is of the small handcranked sort, with a slot cut in the end to hold the end of the wire. 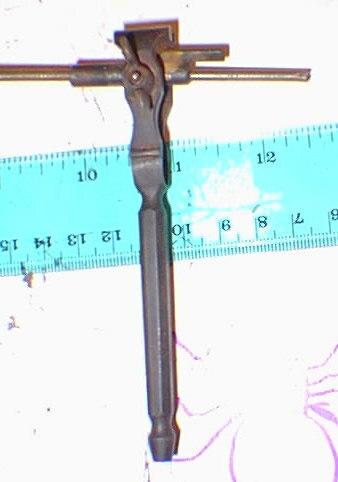 this thing reminds me of some sort of victorian dental tool. These three are picturs of a mini-hand held vice that I found doubles as a winding tool. I use it for all my winding of 20 gauge wire in ring sizes larger than 1/8" inner diameter. 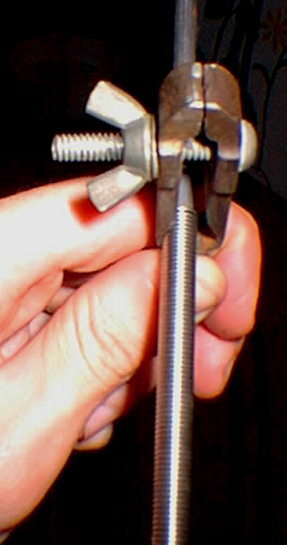 The wire passes through the hollow length of the handle, and the mandrel passes through a slightly circular hole in the area between the end of the handle and below the adjusting screw for opening the jaws. I use this one with a drill at very high speeds, with no risk of wrapping a finger into the coil becaus there is so little space between where the wire feeds out of and where it wraps around the mandrel. 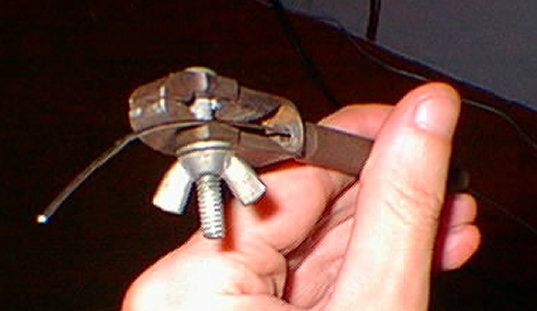 The first picture shows the vice with the wire passing throug the handle. 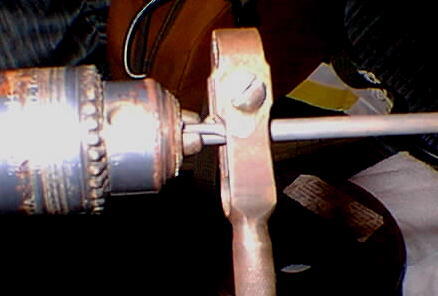 Next, step is to bend the last inch or so of wire to about 90 degrees and slide the vice down the mandrel to the chuck of the drill. The bent end of the wire is slid into the openings between the drill chuck's teeth, thats the second picture. Holding the drill in one hand and the handle of the vice in the other hand, I am ready to pull the trigger of the drill and start coiling. The third picture was taken while coiling with this tool. More information about how I make springs... it's a little dated, but has info on making and using another sort of wire guide, and shows how to make something like in the first two pictures shown above.